With a summer production date rapidly approaching, there have been no shortage of rumors swirling around Thor: Ragnarok. Last week, we reported that Oscar-winning actress Cate Blanchett has been set to star, reportedly playing the main villain Hela, although those details have yet to be confirmed by Marvel Studios. Last year, it was also confirmed that Mark Ruffalo is coming back as Hulk, with the actor himself confirming that Hulk goes on a "universal road trip" with Thor (Chris Hemsworth), comparing this aspect of the movie to Midnight Run. Today we have a new report from Geek.com, which sheds some new light about how Hulk re-connects with Thor in the first place. There will be potential SPOILERS below, so read on at your own risk. When we last saw Hulk in Avengers: Age of Ultron, he stole a QuinJet and took off for parts unknown, after the damage he caused by "hulking out" in that movie. We know that both Hulk and Thor will be just a few of the previously-established Marvel Cinematic Universe characters that won't be appearing in Captain America: Civil War, but this new report reveals Hulk ended up on a distant planet, which the site is calling "Sakaar," from the comic books. Hulk reportedly survives his journey in the QuinJet and his character takes a very interesting turn while arriving on Sakaar. Before we continue with Hulk's journey, last week's rumor claimed that the villainous Hela teams up with Loki as part of a villainous plan, although their motives haven't been revealed yet. Hela reportedly destroys Thor's mighty hammer Mjolnir and banishes him from Asgard. He is sent to the planet of Sakaar, described as a "gladitorial planet" where he is forced to shave his head and fight for his life against a slew of alien combatants, before facing the planet's current champion, the Hulk. 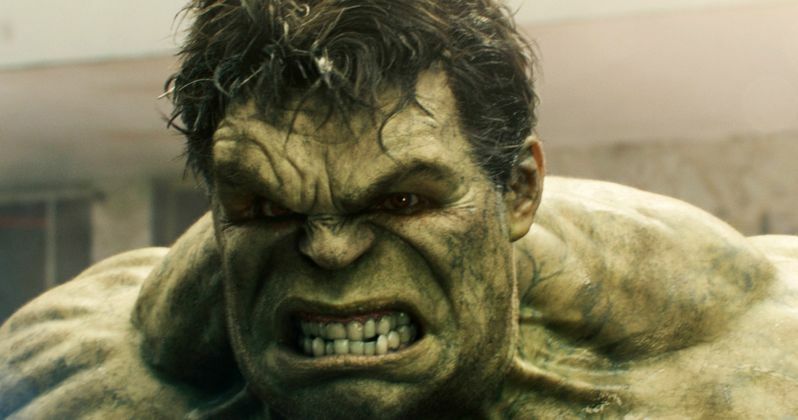 This report claims that Hulk hasn't transformed back to Bruce Banner once since arriving at Sakaar, and that Bruce's personality is starting to "seep through" into the Hulk persona. It's because Banner and Hulk's persona's are being combined that Hulk actually remembers Thor, which sets them off on this "universal road trip" we've previously heard about. This report also reveals that Thor is in search of a new weapon, after Mjolnir has been destroyed, with the site claiming that he could be going after Thanos' Infinity Gauntlet, or perhaps a collection of Infinity Stones, but that hasn't been confirmed. The site also speculates that this could be Marvel's way of shoehorning the beloved Planet Hulk story line into the MCU, without making a straight-up adaptation of the comic. Taika Waititi is directing from a script originally written byChristopher Yost and Chris Kyle, with Stephany Folsom recently coming on board for rewrites. Production is scheduled to begin in Australia this summer, with a November 3, 2017 release date already in place. What do you think about these new details for Thor: Ragnarok? Are you looking forward to Hulk and Thor's road trip?